Light weight and extrememly flexible, this shielding sleeve provides EMI / RFI protection from 1 Mhz to 1 Ghz. Approximately 20% attenuation at maximum expanded diameter. 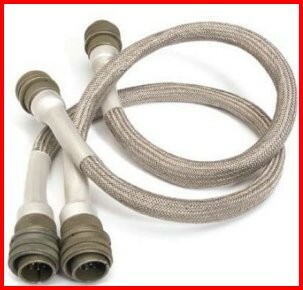 Provides an end-to-end shielding solution for cable assemblies. The document in the viewer below is the low resolution graphics (96dpi) version of the catalog page.